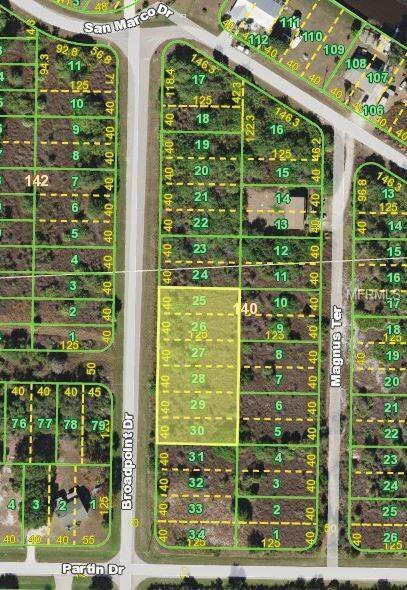 Multiple adjoining lots totaling .69 acre ( 29,999 sq ft) in the non-deed restricted area of Harbour Heights. Harbour Heights has a neighborhood park with a public boat ramp providing access to the Peace River and then onto Charlotte Harbor and the gulf. The park also provides day docks, a pavilion, playground, tennis courts, barbeque area and lots of tables for you to enjoy having a picnic.